These comments will go directly to Flower Shop Network. This is NOT a method of direct communication with MERRIMACK FLOWER SHOP & GREENHOUSE for the purposes of ordering or rectifying problems. Excellent florist. Have used them for years. Wouldn't go anywhere else. The Merrimack Flower Shop always does a spectacular job. Their arrangements are always fresh and lush. They have been my go-to florist for many years, and I will continue to buy from them. They never disappoint! Always great flowers and service. I highly recommend them. According to my friend, Jennie Paulette, the flowers I ordered from Merrimack Flower Shop for the death of Jennie's mother's husband and her step-father were magnificent. They loved the flowers designed with accents on pink and roses. As I live in Las Vegas, Nevada, I was unable to visit and witness the lovely creation. However, Jennie did send a picture through her phone which gave me a somewhat visual idea; of course I couldn't smell the flowers. I'm very happy that a wonderful flower design was created and appreciated. I've always been very pleased with anything I've purchased through Merrimack Flower Shop! Great people! 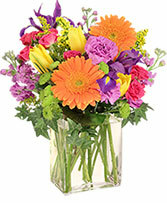 I have ordered from Merrimack flowers twice a year for many years. Every year it's an easy transaction and most times they remember the location to send it to. Awesome small town service! Always reliable and the flowers last a very long time. I get my wife flowers quite often and the service and quality of the flowers I get is the best in the best in the area. I've tried a few other florists but will definitely be using you exclusively from now on. I cannot say enough about how amazing Merrimack Flower Shop has been. 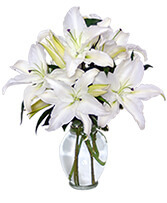 The flower arrangements are always unbelievable and their customer service is as exceptional. I highly recommend this place to anyone looking to give someone something special for any occasion. The flowers were the most beautiful roses I have ever seen. Red roses were my mom's favorite, and I know she would have loved them. They were delivered on time, and the room had the lovely scent of roses as soon as I walked in. 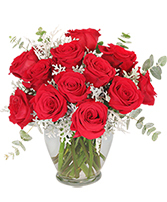 Thank you for making a difficult time easier with this lovely spray of deep red roses. Love going into your store to see the beautiful silk wall/door arrangements. I love them on my front door and fireplace...Recently purchased 800 carnations for the entire student body and faculty of my school and everyone was thrilled. Carnations lasted beautifully throughout a surprise 3 days off from school, plus a long weekend. Students loved them and carried them around all day. I think fresh flowers are the answer for "peace" in a middle school:) Thank you, Cathy, for the wonderful service! Service was terrific. I apparently missed filling in the "from" for the sympathy card to be enclosed, and they called me immediately after receiving my online order. Wonderful--would definitely use them again. It's always better to deal with a local business. Thank you. 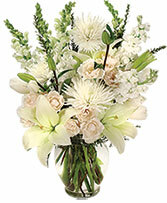 Prompt, Curtious service and the flowers ordered were more beautiful than the picture on the site. This last minute order was delivered on time and was greatly appreciated. This is our first experience ordering this way and we were very pleased with the result. Thank you! Everything from them has been perfect! I recently ordered flowers from 1800flowers and boy was that a mistake!! They were horrible!!! You guys did such a great job, the flowers were gorgeous and just what was pictured! I even got an email letting me know they were delivered!!! Thank you! Ordered a brilliant sympathy wreath for a dear friends mothers funeral. The family was in love with it. I did not know but their mother always had a wreath on her door that she changed with the seasons. So this wreath was very warming for thenm. Thank you for that! 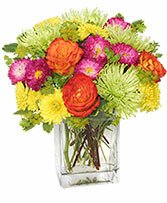 I have ordered several arrangements from Merrimack Flower Shop and all have been of high quality and beautiful. When we send flowers they are gifts from the heart and soul and it is so comforting to know we can trust Cathy & Darlene with the inspiring art, Joan with the perfect on time and as designed delivery, Marion with the relay of desires and Dan wih the constant vigilance of all. Who else could you trust with your "heart and soul" messages? They have never let me down.